Why do I have heart palpitations, chest pain, trembling, nausea, or feel panicky? Anxiety doesn’t have one set of symptoms or causes. From nervousness to performance anxiety or panic attacks, each individual feels a range of symptoms that are specific to them. difficulties with concentrating and memory. 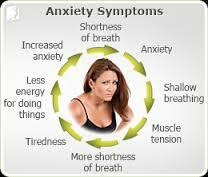 To find out if you are experiencing high levels of anxiety complete the check list below. Do you find it hard to stop worrying about little things? Do you feel on edge or restless most of the time? Do you find it hard to concentrate or your mind goes blank more than it used to? Does your body feel tense and up tight? Do you find it difficult to fall asleep or have broken sleep? Are you kept awake by thoughts that worry you? Have you noticed weight gain recently? Have you aware of feelings of guilt or shame that feel overwhelming? Have you felt shaky, sweaty, breathless, dizziness, light headed, had palpitations? If you have said yes to ten or more of these statements it may be worthwhile talking to a psychologist about these feelings. Why do I keep doing things over and over again? Why can’t I stop a thought from looping over and over on my head? 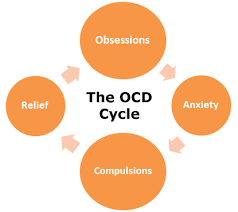 OCD and Obsessive Compulsive Behaviour is generally defined as experiencing excessive thoughts (obsessions) that lead to repetitive behaviours (compulsions). For people experiencing OCD the obsessions and compulsions are very distressing. The ritualistic behaviours or thoughts take up a lot of time and significantly interfere with your family and social relationships, daily routines, education or working life. 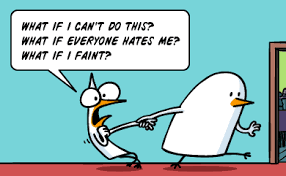 The most common obsessions include: fear or contamination from germs, dirt, fears of harm to self or others; intrusive sexual thoughts or images; concerns with symmetry, perfection, illness or religious issues; an intense, irrational fear of everyday objects and situations (phobia). The most common compulsions include: washing; cleaning; checking; hoarding; touching; counting; and repeating routine activities and action. If you think you may be experiencing OCD complete the checklist below. Do you have recurrent and persistent thoughts, impulses or images that cause you distress? Do you have habits or rituals that have to be done and that are time consuming? Do you have repetitive behaviours or thoughts/which you are compelled to do? Do these behaviours or thoughts make you feel better or reduce your anxiety? 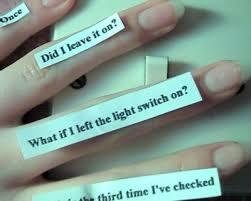 If you try to NOT act upon these thoughts and behaviours do you become very anxious? If you have said yes to four or more of these statements it may be worthwhile talking to a psychologist about these feelings.